Although the #EndSARS campaign on social media has dipped in and out of momentum, the hashtag is back in full force today after we woke to yet another brutal civilian death. Have a look at Twitter and you will find the name Kolade Johnson amongst the top trending topics. Johnson was shot by F-SARS on Sunday afternoon while watching the Liverpool-Tottenham game, and there are quite a number of disturbing and harrowing clips of his lifeless body circulating on social media which I’ll not attach to this post. That said, Johnson’s death sparked public protest which has now leaked into Twitter, and thus rejuvenating the activism of the #EndSARS campaign. Many are expressing shock, frustration, and the disillusionment that comes with living in an utterly dysfunctional state like Nigeria. 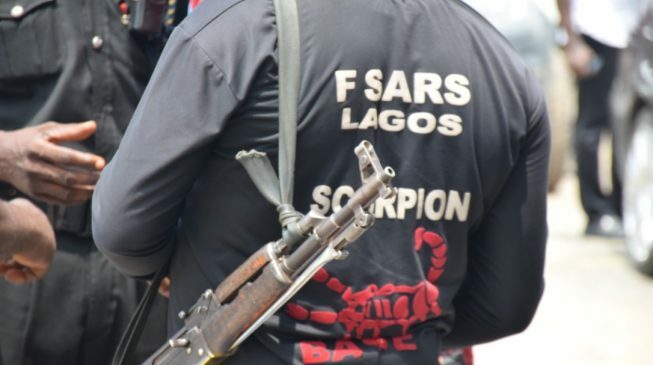 Wherein SARS, a police unit mandated to protect Nigerians, have rewritten their own core function – killing and robbing Nigerians with impunity and promoting an atmosphere of fear. Arrogant lot shielded by the dysfunctional police system. As of the time this post was written, there has been no public statement released from the Police or SARS regarding the death of Johnson. And even if there were, what good will it do? It’s evident that the SARS unit needs to go, and the entire police revamped and given proper orientation.